What is the purpose of the Ergo Plus Chair? Here is a chair that seems created to make the boss feel and look good. The lines are very handsome and the ergonomic design will create a sense of well-being that affects the whole body. The Ergo Plush Chair alleviates any sort of pressure or stress from the body, taking away fatigue and turning those long periods of sitting into something that is refreshing and without tension. Think of this as the perfect addition to an executive suite and office. It has the look and feel of quality, and would be great at the head of a conference table. Executives and high-ranking business people will love the Ergo Plus Chair. 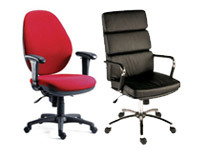 Its sleek styling and amazing comfort will definitely appeal to a variety of bosses and managers in any firm or company. Solicitors and small business owners will find themselves drawn to the elegant lines and the way the seat supports and contours to your body. This has some wonderful options available with it to make it work just right for your office décor and style. It comes in black and blue with the black offering two different looks: a leather look and fabric. 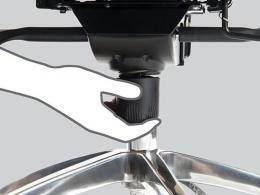 Adjustable armrests are available for an additional charge. The Ergo Plus Chair can bear the weight of up to 152kg and it has the incredible ability to synchronize the back and seat through 5 positions. We also offer a Premier version of the chair that includes a larger seat and a headrest for both colours and fabric choices. 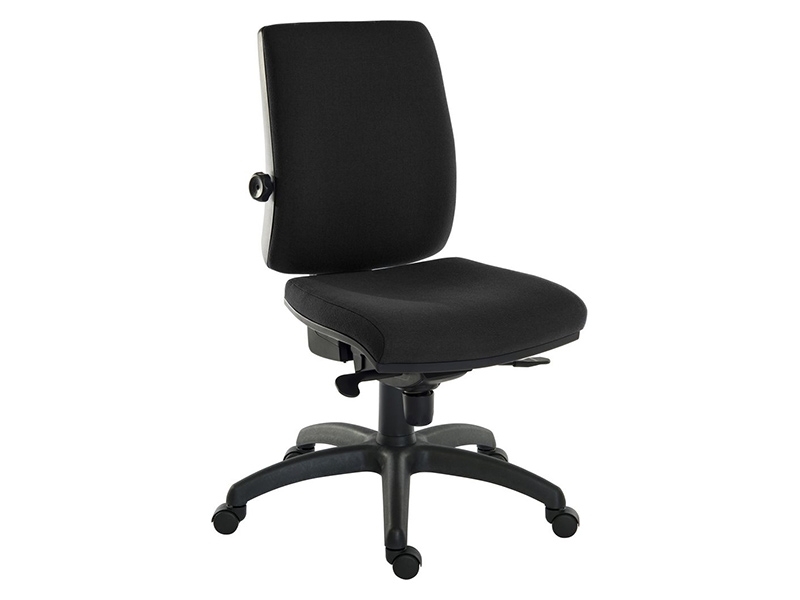 With a 1-year warranty and free delivery, this chair is a fantastic solution for those higher end offices or simply to make a stellar impression and provide more body support. This is a certified 24-hour ergonomic chair. 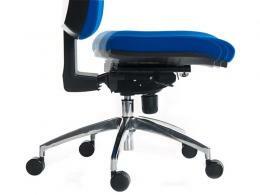 It’s got a lumbar adjustment on the backrest that gives it that much more support to a seated position. Sitting for long periods of time can be very stressful on your body and this is a chair that puts your comfort first.